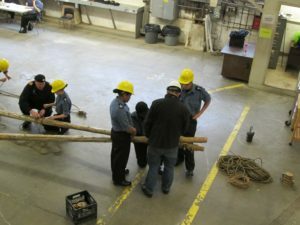 In days of old prior to machinery, cargo on ships was moved from ship to shore, and shore to ship using two wooden spars that were tied together with line. Using line and blocks the spars are raised and lowered to move cargo from place to place. 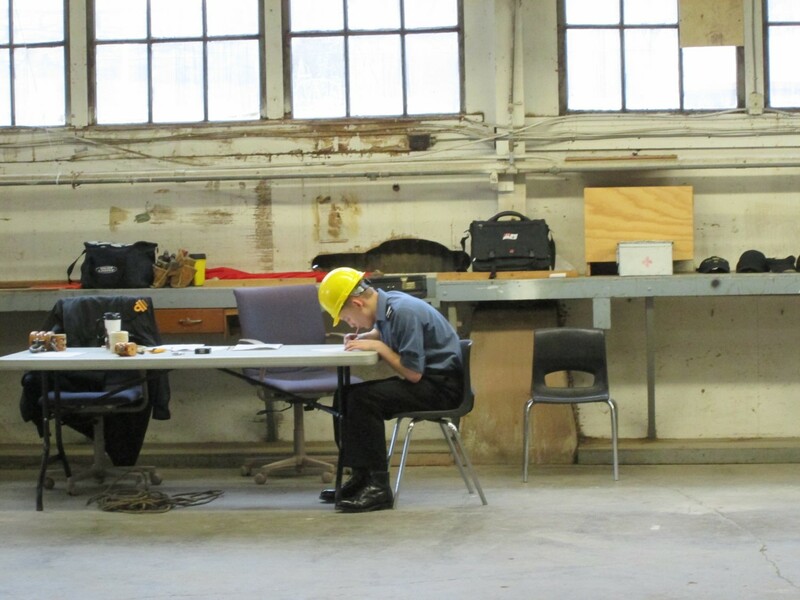 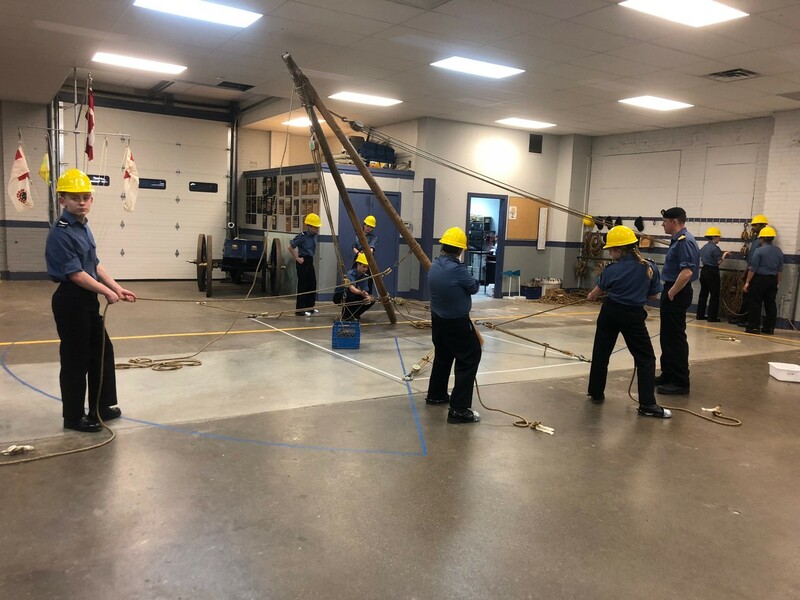 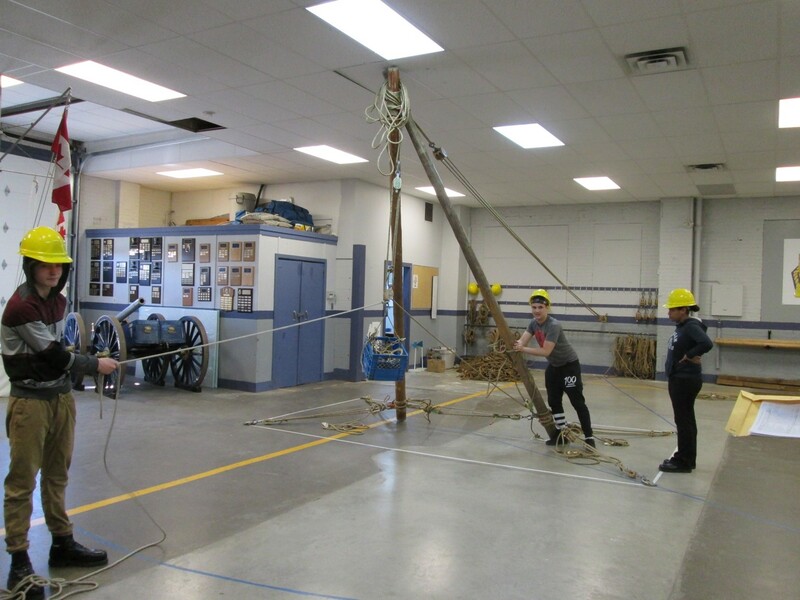 In competition cadets as part of a six member team will rig a sheers using proper seamanship skills. 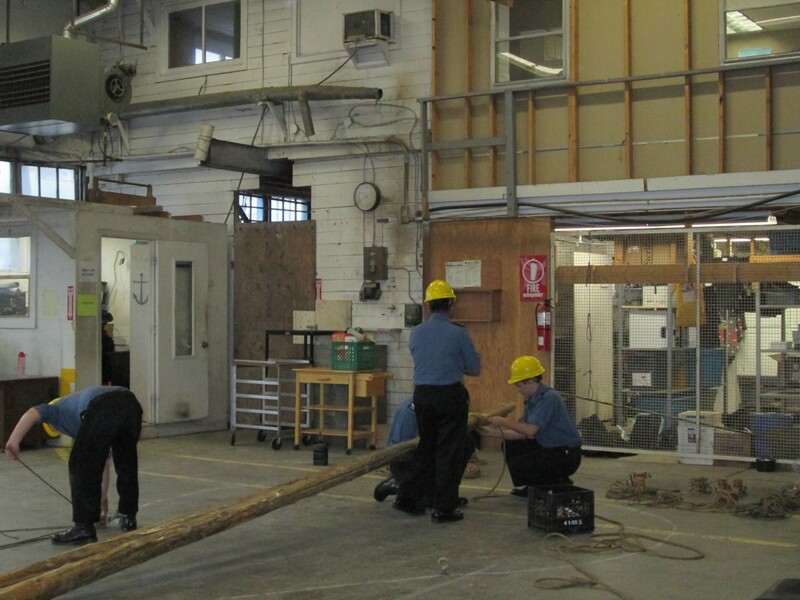 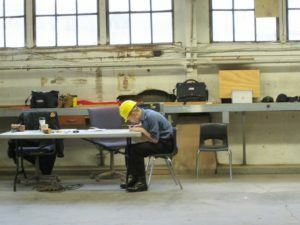 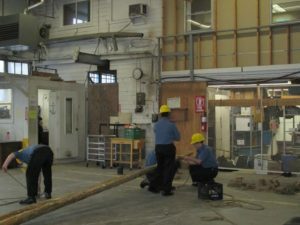 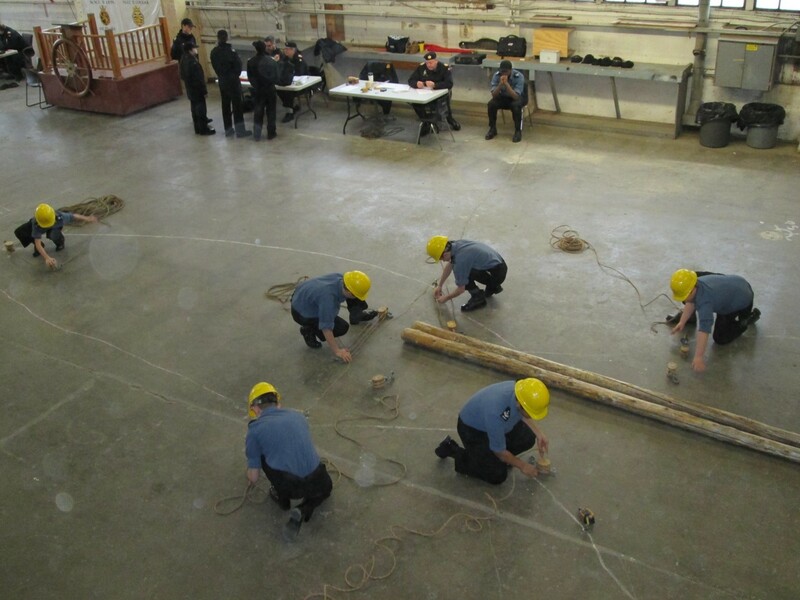 Cadets are assessed on their knots, whippings, head lashing as well as placement of blocks, strops and the load lifted. 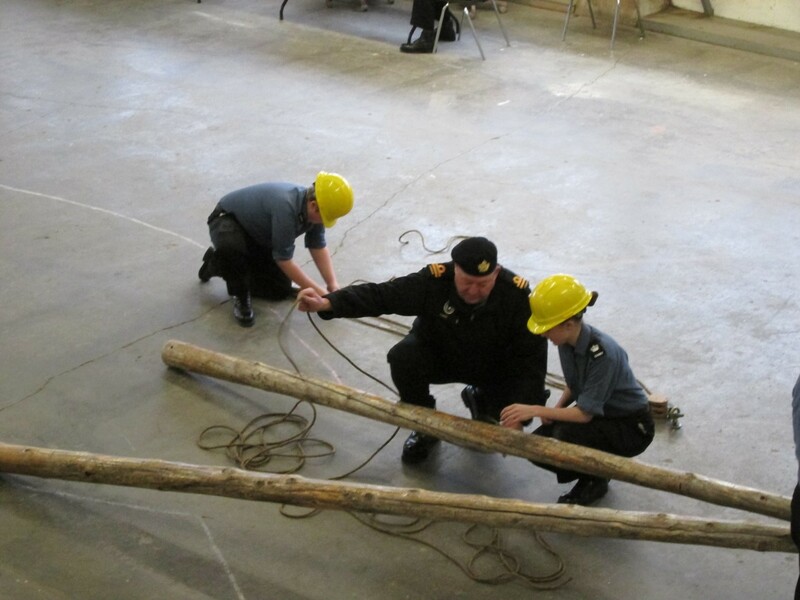 PO Munn is securing the load line to the spar as LS Brazier holds the tag line for the load, LS McFarland looks on.